Kohlrabi bulbs will keep in your refrigerator's veggie drawer for several weeks. Kohlrabi is a good source of Thiamin, Folate, Magnesium and Phosphorus, and a very good source of Dietary Fiber, Vitamin C, Vitamin B6, Potassium, Copper and Manganese. Kohlrabi comes in two varieties: one deep purple and the other vibrant green. Both have pale green to white flesh. 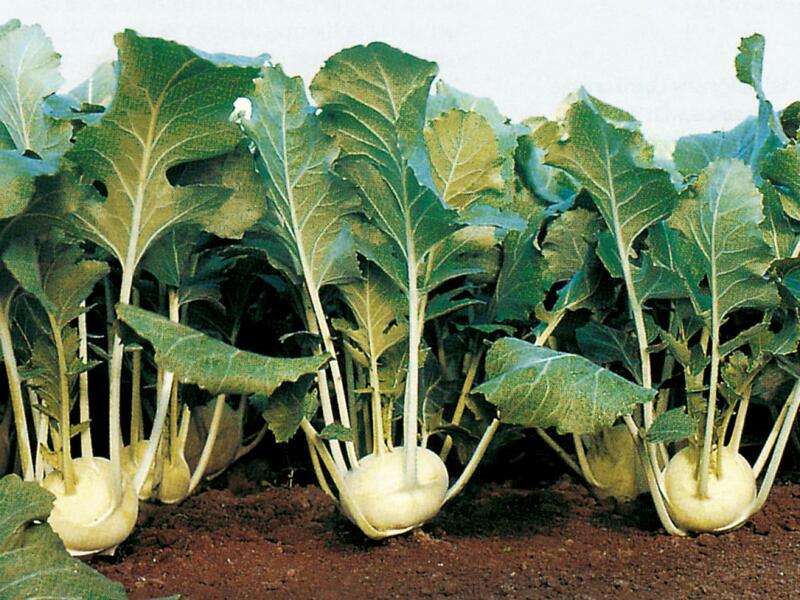 Other names for kohlrabi include "Kohl-Rabi," "German Turnip," "Stem Turnip" and "Cabbage Turnip." Both the bulb and the leaves are edible. The bulb can be quartered and roasted like potatoes, steamed, grilled or simply thinly sliced raw. Cook kohlrabi leaves like you would other leafy greens, by either boiling for a few minutes in salted water, or by sautéing with olive oil and garlic until tender. The leaves can be eaten raw, tossed into a salad and are also delicious thrown into a stir-fry.